A new kind of web service reveals how easy it is to conduct a kind of virtual surveillance on people in a specific location – in real time -- without anyone ever knowing it. This new technology makes it possible to search social media postings – on sites such as Twitter or Instagram -- not by name or social-media "handle," but by location, and then zero in on the people found in that location. In real time, someone can explore those people’s profiles to find out who they are and even where they live. It’s done by searching geotags on people’s social media. A new subscriber-based service called Geofeedia, based in Evanston, makes the process easy enough for anyone to do. And while Geofeedia’s service is geared towards first-responders, journalists, and businesses – and while it prescreens its users – its technology raises general questions about who is watching you online – especially if you choose to geotag your posts to social media. Devorah Heitner is a Chicago-based consultant and speaker who works with local schools on social media and privacy issues through her company, Raising Digital Natives. She offers advice on how to get children to think about their privacy on social media so that they will figure out the tools they need which vary for each social media site -- to take action to make sure their posts are as secure as possible. A geotag is a kind of marker users can attach to Tweets, photos and videos, showing the exact spot where the item was created or shared. Users can turn geotagging on and off through the settings of their mobile device or computer. Once it’s on, each individual social media website used -- be it Twitter, YouTube, Instagram, or others -- keeps a virtual map of those geotags. At very least, the whole process seems a tad voyeuristic, but it’s the reality of the times, according to Devorah Heitner, a consultant and speaker on social media, who works with local school districts through her company, Raising Digital Natives. "Our kids are living in a world where they’re constantly photographed by their friends, by one another, by themselves," says Heitner. 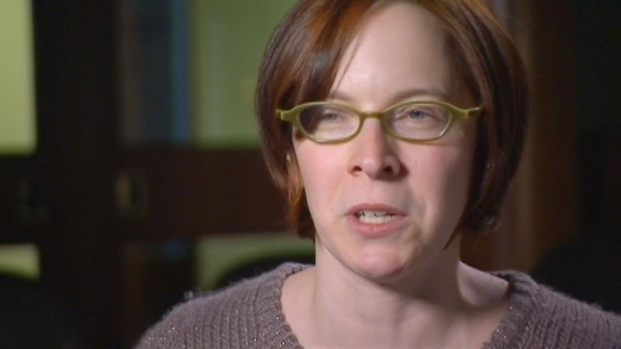 "I don’t think we can take back the shift in the way we think about our public personas. Our children will never think about privacy the way we do." Heitner points to many ways in which geotagging -- especially through services like Evanston-based Geofeedia -- can expand horizons. "There’s a lot of potential for learning about global events this way," she said. "I could see a classroom of middle school students, for example, using it to connect with students across the world in another middle school." But those same middle school students also need to be aware of their own geo-tagging, said Heitner -- especially the inadvertent ways it can come back to haunt them. 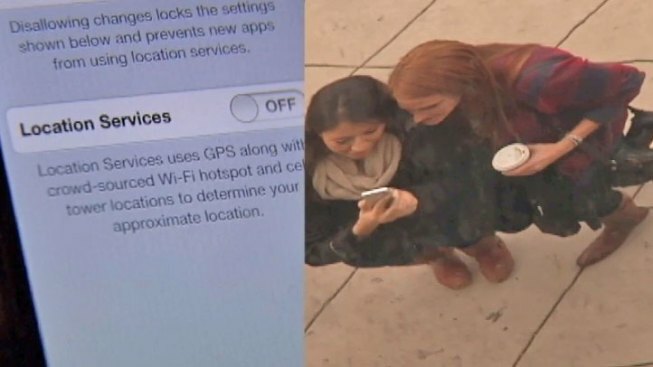 Outside a middle school along Chicago’s north shore in early November, NBC Chicago used Geofeedia to call up photos that were shared on social media -- Instagram, Flickr, and Picasa -- within a half-mile radius of the school. One of the first photos that popped up was of a middle school boy getting dressed in the school’s locker room. Apparently another boy had taken a snapshot of him and posted it to Instagram. Deliberately or not, the photo was geotagged to the school and easily found. Generally, the "default" on most social media websites should have kept this photo from being geotagged. For the most part, a user must intentionally activate this setting on his or her mobile device or computer. But it can be easy to forget to turn those settings back off. Perhaps that was the case of the photo taken of the boy in the locker room -- or perhaps it was tagged on purpose as some kind of prank. In any case, because that photo was geotagged, it showed us not only the spot where it was taken, but also the Instagram "handle" of the boy who took it. Clicking on that boy's username opened up a new page showing an array of other photos he'd taken, as well as his Twitter handle and the handles of several other middle school students to whom he was sending photos. Those photos -- also geotagged -- showed the exact location of the home of the boy who took the photo in addition to the location of several homes of his friends. All of that coming from a seemingly innocuous prank photo, snapped at a middle school. So how does someone -- especially a parent -- make sure that their children’s social media sites are safe, secure -- and private? Heitner says parents must analyze every app individually, and check online for all privacy settings. Often there are two, three, or even more settings that can be changed to ensure absolute privacy. “That’s why I encourage parents not to blindly try to track their kids, or use software to monitor their kids and read everything that they do,” she says. Kids will always know much more about social media than their parents, says Heitner, so lectures don’t really work. Instead, create a two-way discussion: “Have them help you set up your own Instagram account, for example, and really talk about what the pitfalls are -- and the potential challenges that you could run into.” As they teach you, she says, they’ll figure it out for themselves, as well.